This comes to us from Green Car Reports, which was at an event in Germany last month where VW was explaining its new modular electric platform platform. (Our man David Tracy was at the same event and will have more from it soon.) 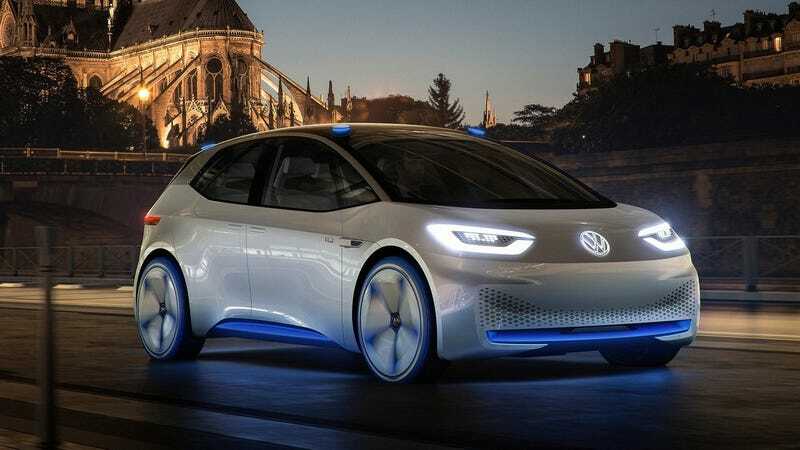 There, Thomas Ulbrich, the VW board member in charge of e-mobility, said that the goal is to keep these EVs affordable to the masses. Specifically, he said the cars should be “priced at the level of a comparable diesel car”—with a slight premium over a gasoline model, but not a prohibitively expensive one. VW won’t have electric variants of its existing cars, but ones that are sort of facsimiles to the Golfs and crossovers in the lineup. To look at how Volkswagen priced TDI models just prior to the diesel scandal, a 2015 Volkswagen Jetta 1.8T SE started at $19,815, while a 2015 Jetta TDI SE started at $24,895—a 25-percent increase. Going upscale to the SUV side of the market, to the Touareg, the gasoline model started at $45,615 while the TDI started at $53,155—about 17 percent higher. This is all good to hear, as most of the good EVs so far have been far from truly cheap. The much-ballyhooed $35,000 Tesla Model 3 is nowhere to be found. The Chevrolet Bolt is much cheaper, but even the last one we tested came in at $43,000 with options before the $7,500 EV tax credit—though that’s quickly drying up for General Motors. Even EVs with less impressive range, like the 111-mile Kia Soul EV, are about $34,000 before tax credit. Granted, some of that is in line with “average” new car prices, but it’d be great to see some high-range EVs come in even cheaper than that. Volkswagen will begin its we’re-sorry-for-the-diesel-cheating electric crusade in 2020 with the ID compact car and ID Crozz crossover, then continue that into 2022 with the Microbus-inspired ID Buzz. Let’s hope they keep the pricing low.